All thrillers, and indeed most novels, require a good villain to balance the protagonist and add tension to the plot. Historicals are no exception. When I began writing For the King, which recounts an attempt to assassinate Napoléon Bonaparte in 1800, I imagined that the perpetrators would be the obvious choice. Their crime was heinous enough: Bonaparte himself escaped without a scratch, but dozens of bystanders, ordinary Parisians, were killed or maimed by the bomb, detonated in a busy street on Christmas Eve. One of the most interesting things about writing, though, is that the author can never guess where her story will take her. As I followed in the footsteps of the real investigators, and the plot of the novel unfolded, I discovered much about the assassins. But I found another villain I had not anticipated. That was Fouché, the Minister of Police at the time of the bombing. A defrocked monk, he had organized anti-religious masquerades during the Revolution. But much more sinister deeds lurk in his record: in the south-eastern city of Lyons, he organized the wholesale massacre of political opponents. Those were rounded up in front of huge ditches, and shot to death with canons and musketry. This foreshadows some Nazi atrocities during World War II. 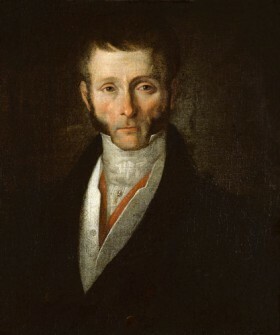 Robespierre, horrified, recalled him to Paris, but Fouché was the ultimate survivor: he conspired to eliminate Robespierre, and then wisely kept a low profile for several years. Fouché was canny. He spent several years away from politics, and waited until the memory of the Lyons atrocities had now somewhat faded. During that time, he became an army supplier, and made a fortune. Then in 1799 he was offered the position of Minister of Police, just in time to do nothing to impede Bonaparte’s coup a few months later. As my protagonist, Roch Miquel notes, “doing nothing was already a great deal for a Minister of Police, when he had to know of Bonaparte’s projects.” Bonaparte was duly appreciative: he rewarded Fouché’s benevolent neutrality by leaving him in place as Minister of Police. Was it the right decision? Publishers Weekly mentions in its review of FOR THE KING that Fouché appears as “stridently unsavoury” in my novel. Yet I don’t believe I unfairly darken his character, and I provide a detailed explanation of his role in my historical note. It will be up to my readers to make their own opinion of the man..